Maximum dutch hip girder station 3600mm. Maximum roof pitch 35 degrees. 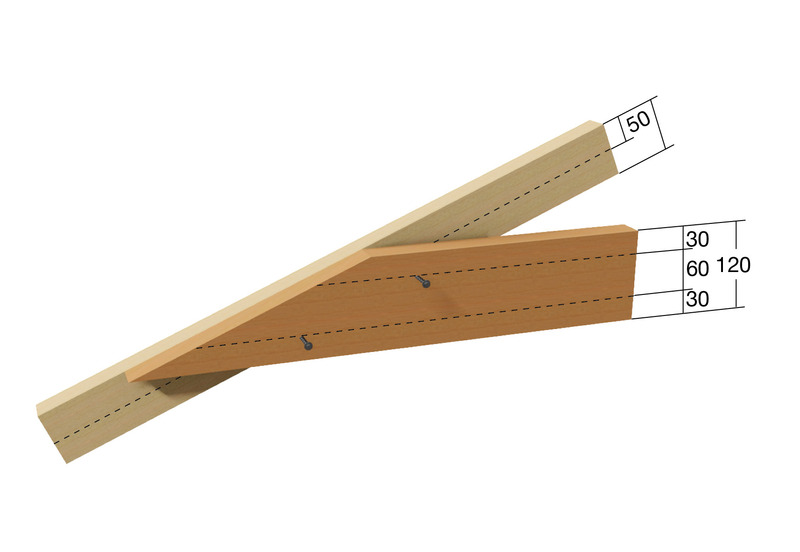 Jack truss overhang plus cantilever not exceeding jack truss back span. Girder and waling plate to be designed using Multinail Software with a web layout similar to that selected from the following table. 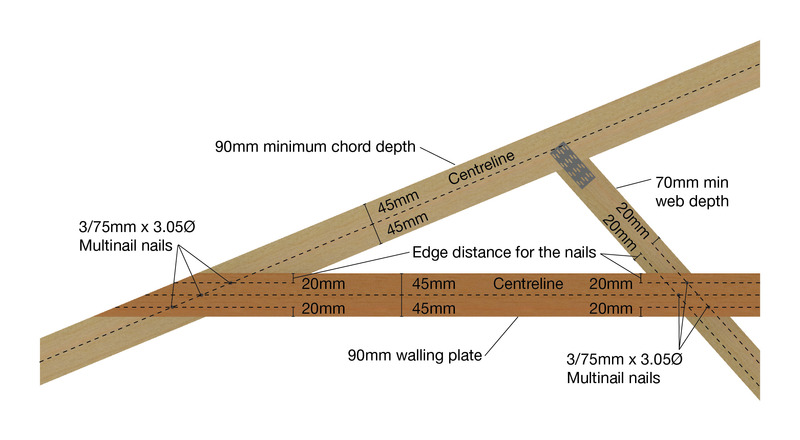 Minimum waling plate thickness to be 35mm. The fixing method of the waling plate to the dutch hip girder will generally determine the waling plate depth. 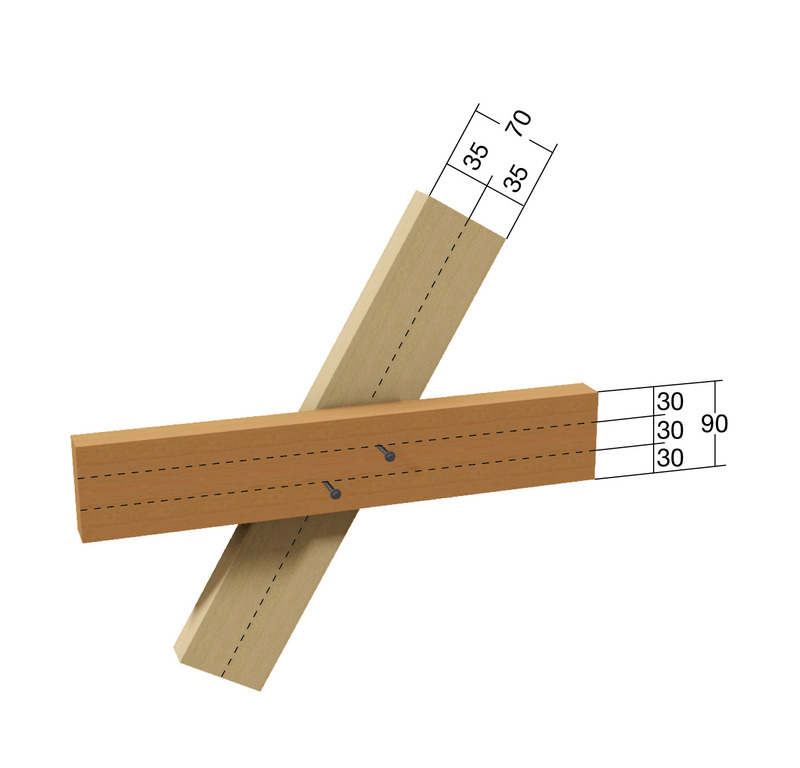 Refer to Tables 1, 2, 3 or 4 to select the waling plate depth and fixing details. The truss chords MUST be a minimum of 90mm deep and webs a minimum of 70mm deep UNLESS noted otherwise in the following fixing recommendations. 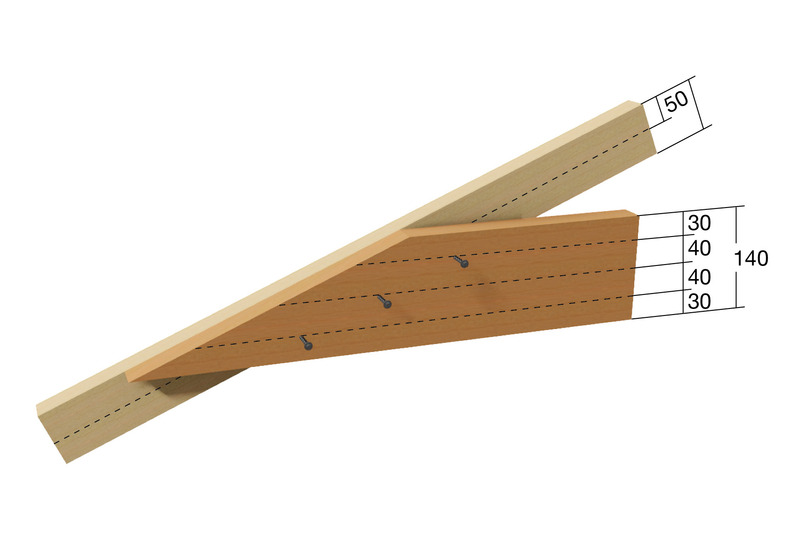 Joint groups as shown are for BOTH waling plate and truss members. Engineering fixings may be individually designed for other specific cases. 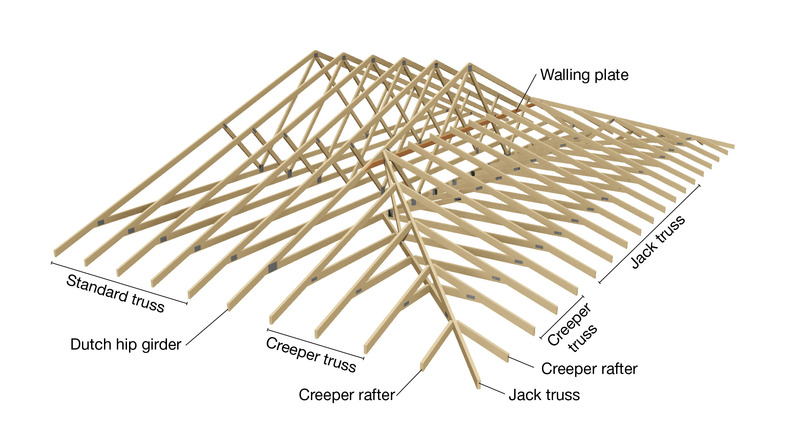 Truss webbing types and span limits above relate to the fixing of waling plates only and does not refer to the maximum load carrying capacity of the truss itself. 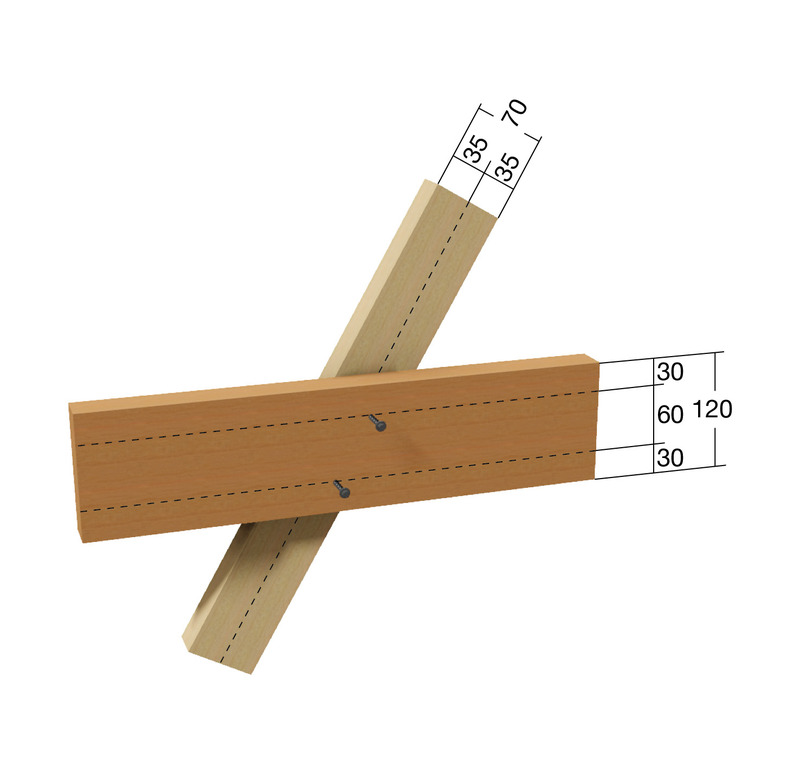 Waling plate fixed with 3/75mm x 3.05 Ø nails per member. Waling plate fixed with 4/75mm x 3.05 Ø nails per member. 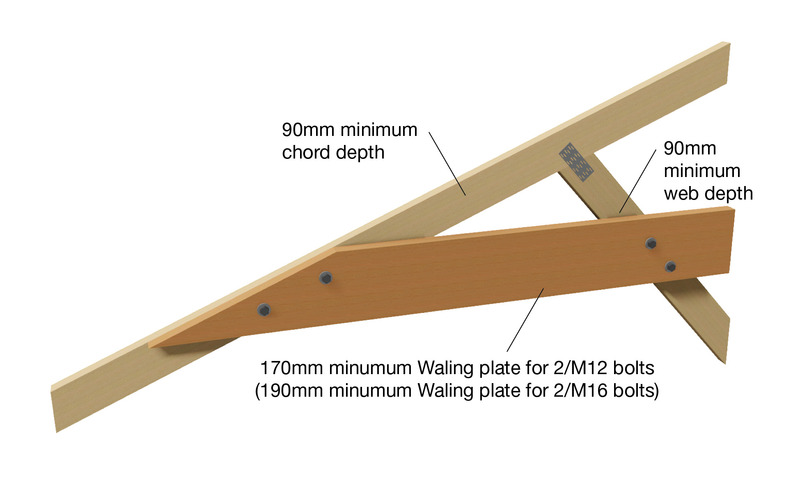 Waling plate fixed with 6/75mm x 3.05 Ø nails per member. Waling plate fixed with one bolt per member. Waling plate fixed with two bolt per member.